Former Wragges Boss, Haywood, Joins Clarilis Doc Automation Co.
Richard Haywood, the former managing partner of Wragges, which is now the ‘W’ in global legal services business, Gowling WLG, has become chairman of legal automation company Clarilis. Haywood is currently a Consultant at UK law firm RPC. 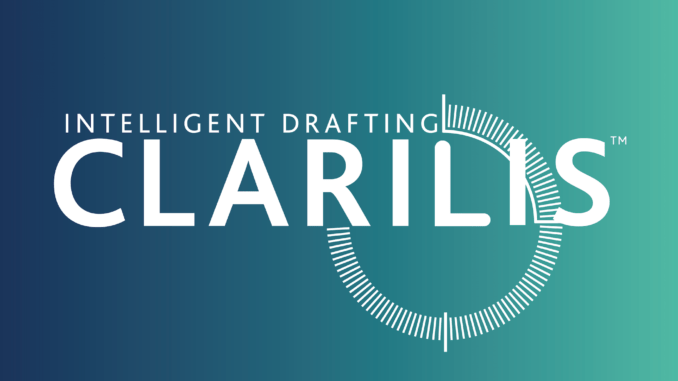 Meanwhile, Clarilis, co-founded by James and Kevin Quinn, is a Midlands-based drafting automation platform (see here for earlier story). Last year NVM Private Equity (NVM) invested $4m (£3.1m) of growth capital into Clarilis. Customers so far include firms such as: Addleshaw Goddard, Baker McKenzie, Burness Paull, Gateley, National Grid and Travers Smith. The platform ‘allows you to automate your firm’s precedents without amendment thereby encouraging high levels of adoption,’ says the company. ‘Too many software initiatives fail for want of this support. Private practice law firms and in-house legal teams are under increasing pressure to be innovative and efficient. Clarilis can help them meet those demands. I am really looking forward to working with the team,’ he added. All good….but is this a big deal? Well, it’s not a new thing for partners to take on advisory roles at legal tech companies. But, in terms of the UK legal market, Haywood is certainly a prominent figure, so, for Clarilis this is a big deal to have someone of his standing acting as chairman. The question then is: how does this help the legal tech company? The simple answer is that after a lifetime in the commercial legal world Haywood has a tonne of connections. Having this kind of backing never hurts. Also, having someone who is a skilled manager at the helm is also a bonus, given that legal tech founders are not automatically the best at growing a business once you get past the initial early stages.